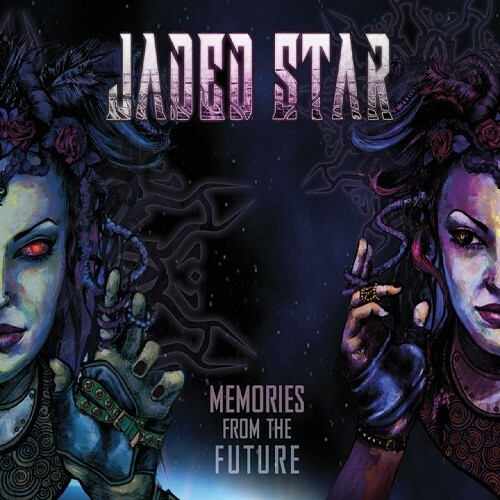 Jaded Star is a Female-Fronted Symphonic/Gothic Metal project featuring former Visions Of Atlantis leading lady Maxi Nil and drummer Raphael Saini, once a member of Iced Earth. 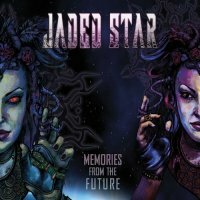 The band is completed by guitarist Kosta Vreto (Horizon's End) and bass player Babis Nikou (Astral DNA, Opened Paradise). If I'm honest VOA never really got my juices flowing but after just a couple of plays of 'Memories From The Future', I was hooked! The JS style has more substance and certainly more power and these qualities generate more impact. I'm reminded a lot of Stream Of Passion, though the song structures are less Progressive. I'm also reminded of the Beautiful Sin album from several years ago due to the dynamics of the arrangements and the direct approach but JS are by no means in the plagiarising game. The bulk of the material was written by Nil and Nikou and their writing ethic allows for the recognition of individual performances during the instantly memorable songs. Saini's powerful drumming lays the foundations for some emotionally charged melodies and Vretos' guitar weaves in and out of the melody lines and assaults the senses with some crunching riffs. Nil's vocals are the best I have heard from her and she has the range to give the lyrics life, never over indulgent and always in the context of the song. 'The Mask' is a swaggering opener and contains a great hook amongst the subtle time changes and incendiary rhythms. 'Stars' features a great Vreto solo and some fantastic work by Saini; Nil's vocals merely add to the appeal. 'Healing The Inner Child' forges ahead with some more impressive performances, drums and guitars to the fore but it is never at the expense of the music. Aside from 'Into The End Of Time' and 'In Memory', the songs are generally mid-tempo in pace yet there is never a feeling of repetition. The two ballads are perfect showcases for Nil's skills and her passionate delivery manages to convey some haunting imagery and beauty. Album closer 'Innocence' is the most up-tempo workout on 'Memories From The Future' and possibly the most commercial of the ten tracks on offer. The chorus resonates and the performances are once again top drawer. Nil's production along with the mastering work of Fredrik Nordstrom gives a full sound and played loud the album simply Rocks. At forty-five minutes, the running time is perfect for me and though material of this nature is generally more epic in scope, the four and five minute length songs still provide plenty to sink the teeth into. It also means there is only one other thing to do... repeat play.